The latest generation of high intensity Magnetic Separators will be on display on the Bunting Magnetics stand (Hall B2 Stand 133) at Bauma 2019. The metal and mineral separators are used widely in the mineral processing, quarrying and recycling industries. Bauma (April 8-14, 2019) is held in Munich, Germany ever three years. There are internal and external exhibition areas displaying a wide range of equipment for construction, mining, mineral processing and recycling. A reported 583,736 visitors from 219 countries attended Bauma in 2016, seeing 3,425 exhibitors from 58 countries. “Bauma provides an ideal opportunity to meet many of our existing customers and introduce ourselves to new potential clients,” explained Dave Hills, Bunting’s Head of Sales. On stand 133, the Bunting Magnetics and Master Magnets team are present to help companies with product purification or metal recovery. High intensity Magnetic Separators are used to remove weakly magnetic particles from non-metallic minerals such as feldspar and silica sand. The Electro Magnetic Filter on display is designed to remove magnetically susceptible minerals from mineral and ceramic slurries and glazes. An electromagnetic coil is used to project a high magnetic field into a centralised cannister containing a magnetic matrix. During processing, magnetic particles are captured on the points of the matrix. 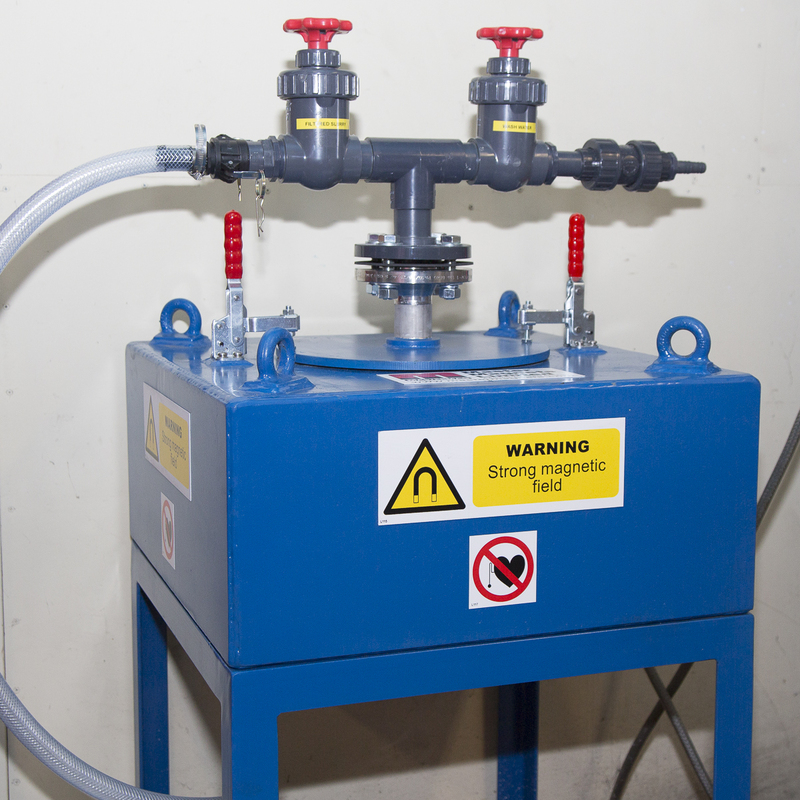 A larger Electro Magnetic Filter has just been added to the Master Magnets mineral processing laboratory in Redditch UK. This provides mineral processors with the opportunity of conducting controlled tests to prove the separation capability. 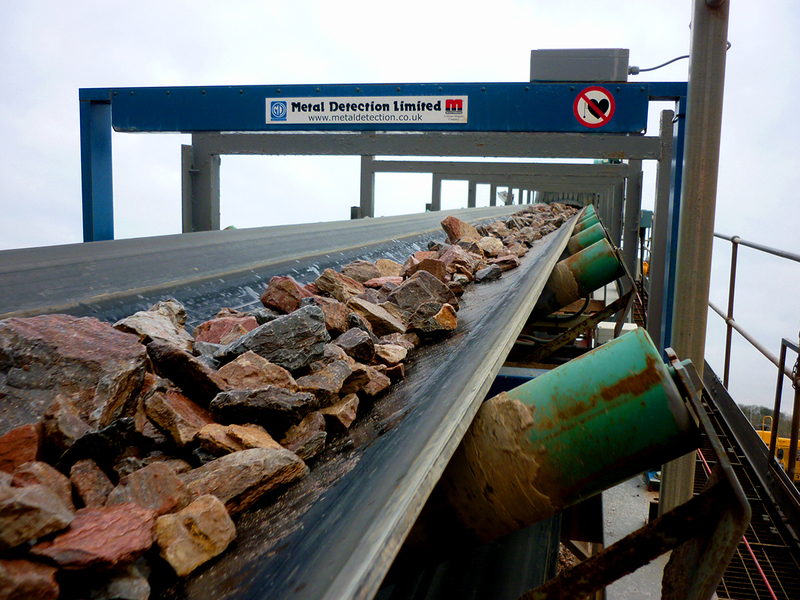 The dry purification of non-metallic minerals is possible using the high intensity Rare Earth Roll Magnetic Separator. Separation demonstrations on a laboratory-scale model will take place in the stand. The Overband Magnet is commonplace in the quarrying, mining and recycling sector and a smaller model will be on display. The Overband Magnet is mounted across permanently fixed conveyors and on mobile plant (e.g. screens and crushers) to remove larger tramp metal. There is a constant stream of Overband Magnets under manufacture at the Redditch plant, with many shipped overseas. Commonly, the Overband Magnet works in conjunction with a Metal Detector. The Metal Detector identifies non-ferrous metals such as manganese steel. On the stand will be a Model TN77 Metal Detector, one of the most popular used in quarries and mining operations all over the world. The need to successfully recover and recycle waste materials has never had a higher profile. Within the Master Magnets product portfolio are magnetic separators to recover ferrous metals and Eddy Current Separators for the separation on non-ferrous metals. A new generation of magnetic separator now successfully recovers stainless steel, with contracts agreed in January 2019 for the manufacture and supply of three Stainless Steel Magnetic Separators (SSSC). Demonstrations on a laboratory-sized SSSC will take place on the stand.